New Japan Pro Wrestling has one more title match scheduled before Wrestle Kingdom 12 at the Tokyo Dome. NEVER Openweight Six-Man Tag Team Champions SANADA, EVIL & BUSHI will defend their titles against Bad Luck Fale & Guerrillas of Destiny at NJPW's Road to Tokyo Dome show on December 17th. With SANADA & EVIL challenging Killer Elite Squad at Wrestle Kingdom, a title change would clear the way for the NEVER tag belts to be featured on the card. SANADA & EVIL defeated Guerrillas of Destiny in this year's World Tag League finals, with BUSHI getting disqualified against Fale earlier in the show after using the black mist. The NEVER Six-Man titles were featured in a gauntlet match at Wrestle Kingdom 11. 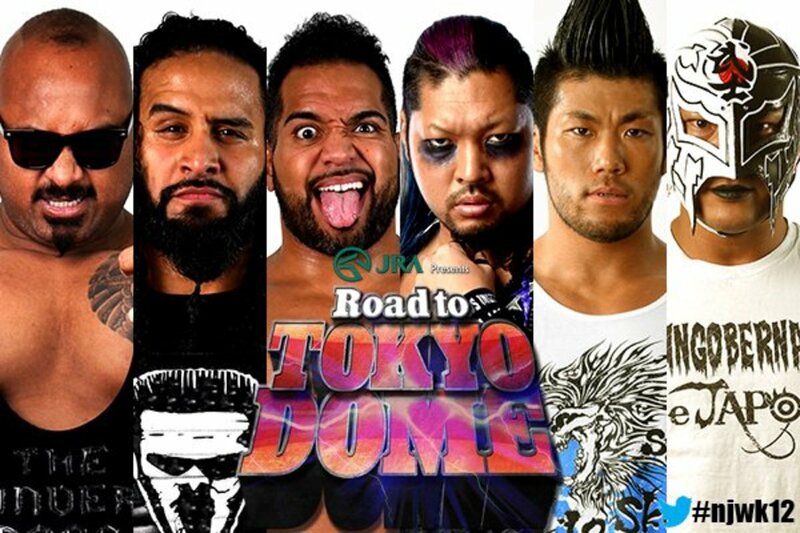 Whether Los Ingobernables de Japon retain or not, the full card for January's Dome show likely won't be announced until after Sunday's six-man title match happens. SANADA & EVIL vs. KES for the IWGP Tag Team Championship was added to the Wrestle Kingdom 12 lineup at a press conference overnight. Minoru Suzuki vs. Hirooki Goto in a match where Suzuki's NEVER Openweight title and Goto's hair are both on the line has been set up as well, though NJPW has yet to officially announce it. Korakuen Hall will host Road to Tokyo Dome shows on December 17th and 18th as the final build to Wrestle Kingdom takes place. Hiroshi Tanahashi isn't listed on the card for either night at Korakuen, which means that his first match back from his knee injury is scheduled to be when he faces Jay White at the Dome. Kazuchika Okada facing off against Tetsuya Naito in tag team matches ahead of their IWGP Heavyweight Championship bout is the main event for both Road to Tokyo Dome shows. Okada & YOSHI-HASHI vs. Naito & Hiromu Takahashi will headline night one, with Okada, Sho & Yoh vs. Naito, Takahashi & BUSHI set for night two.